Skycatering has always tried to ensure that their products consistently inspire total confidence in terms of taste, quality and presentation. 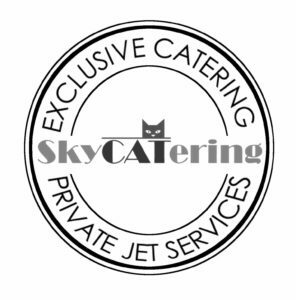 Skycatering is a company which has a stellar reputation throughout Europe for the quality and care taken to provide its customers with the highest levels of private transportation. We specialize in creating delicious dishes prepared with great attention to detail and quality. From planning custom menus to the presentation of the meal, all dining options are tailored according to the needs of our customers and their unique dietary needs requests. As a result, our successes are a testament to the satisfaction felt by the owners, guests and crew of our private aircraft. Over the years the onboard menu was developed to reflect modern trends such as fusion foods and minimalist presentation. While following modern trends, Skycatering promises to provide food and refreshments that are of the highest quality to our guests.